I love Twitter and I love push notifications so, you can bet that I love iTweetReply! 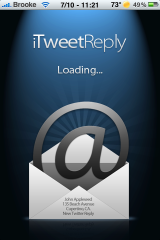 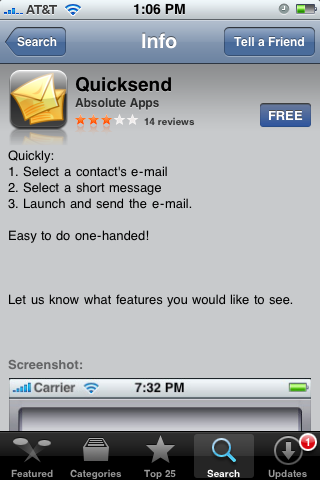 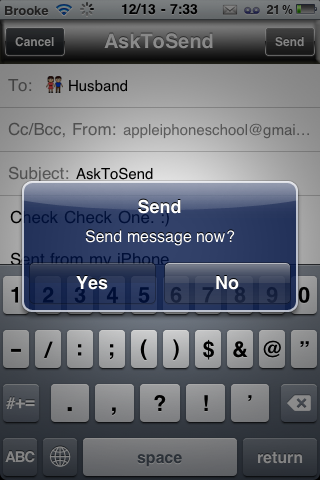 iTweetReply is an application that will notify you of @ replies and direct messages that you receive via Twitter. 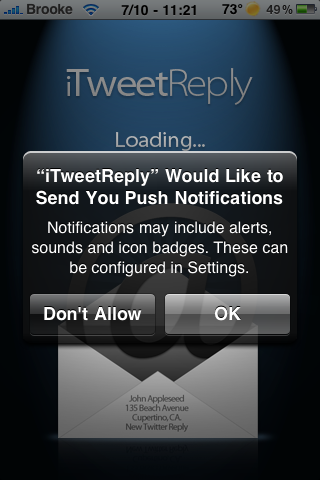 This is definitely not a Twitter app replacement, it is a very simple app that has a main function of bringing you push notifications. When your first open that app, you will get a pop-up telling you that iTweetReply would like to send you push notification.